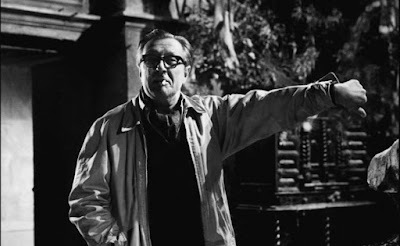 That's right, this month the amazing Terence Fisher, is my icon of the month. Fisher was born in Maida Vale (a district of London) in 1904. Raised by his grandmother in a strict Christian Scientist environment, Fisher left school while still in his teens to join the Merchant Marine for five years. By his own account he soon discovered that a life at sea was not for him, so he left the service and tried his hand at a succession of jobs ashore. It was during this time that he discovered the cinema, entering the film industry as 'the oldest clapper boy in the business' at Lime Grove Studios in Shepherd’s Bush in 1933. Fisher did his first work as an assistant editor in 1934. At Gainsborough Pictures he received his first editor credit on "Tudor Rose" (1936). Following this came "Jack of All Trades" (1936) for Robert Stevenson, and "Where There's a Will" (1936) and "Windbag the Sailor" (1936) for William Beaudine. At Warner Bros he edited "Mr. Satan" (1938), "On the Night of the Fire" (1939), "Atlantic Ferry" (1940), "The Peterville Diamond" (1941), and "Flying Fortress" (1942). Fisher did "Tomorrow We Live" (1943) and "Candlelight in Algeria" (1944) for British Aviation Films, "They Met in the Dark" (1943) for Marcel Hellman, "The Dark Tower" (1943) for Warners, and "One Exciting Night" (1944). 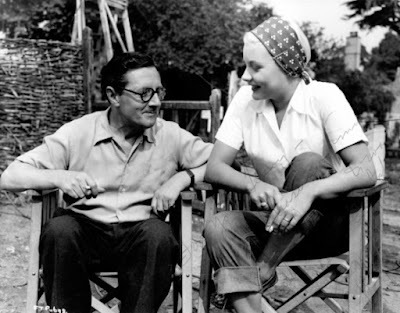 Among his final films as editor were "The Wicked Lady" (1945) and "Master of Bankdam" (1947). In 1947, at the age of 43, he made his directorial debut with a supernatural comedy called "Colonel Bogey" (1948), Fand also "A Song for Tomorrow" (1948), a second feature for Highbury Productions, for the same company he did "To the Public Danger" (1948). These were low budget films, though Fisher moved over to Gainsborough for more prestigious movies: "Portrait from Life" (1948) with Mai Zetterling; "Marry Me!" (1949) with Derek Bond; "The Astonished Heart" (1950) with Noel Coward (replacing Michael Redgrave during filming); "So Long at the Fair" (1950) with Dirk Bogarde and Jean Simmons. Fisher returned to supporting features with "Home to Danger" (1951) for Eros Films. Fisher's first feature for Hammer Films was "The Last Page" (1951), one of a number of low budget thrillers that studio were then making, usually with an imported American star to appeal to the US market; "The Last Page" featured George Brent and Diana Dors. Hammer liked Fisher's work and kept him on for "Wings of Danger" (1952) with Zachary Scott, and "Stolen Face" (1952) with Paul Henreid and Lizabeth Scott. After making "Distant Trumpet" (1952) for Meridian Films, Fisher returned to Hammer for "Mantrap" (1953) with Henreid; "Four Sided Triangle" (1953) with Barbara Payton; "Spaceways" (1953), a science fiction story, with Howard Duff; "Blood Orange" (1953), a crime film with Tom Conway; "Face the Music" (1954) with Alex Nicol; "Murder by Proxy" (1954) with Dane Clark; and "A Stranger Came Home" (1954) with Paulette Goddard. He made "Final Appointment" (1954) outside Hammer with John Bentley then went back to Hammer for "Mask of Dust" (1954) with Richard Conte. He made the comedy "Children Galore" (1955) and the "Final Appointment" sequel "Stolen Assignment" (1955). Next came another movie with Bentley, "The Flaw" (1955) before he made two crime films, "The Gelignite Gang" (1956) and "The Last Man to Hang?" (1956). He was hired by Tempean Films to make a final crime thriller with an imported American star, "Kill Me Tomorrow" (1957) with Pat O'Brien. During the 1950s Fisher also worked frequently in British television, directing episodes of series such as "The Adventures of Robin Hood" and "Sword of Freedom". His break came in 1956 when, at the age of 52 Hammer asked him to direct "The Curse of Frankenstein" (1957), their first colour horror film. It was the company’s most important project to date, and Fisher was hand-picked by Hammer management to helm the movie as he had a reputation for reliability. 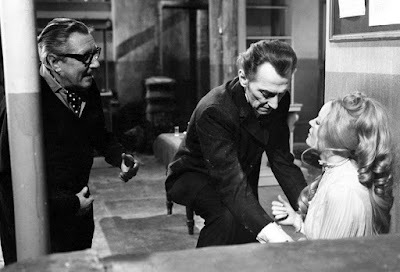 Working from a script by Jimmy Sangster that re-imagined the lengthy original novel as a gruesome, morally ambiguous chamber piece, the film saw British TV star Peter Cushing cast as 'Baron Victor Frankenstein' whilst the then little-known supporting actor 'Christopher Lee' portrayed the Creature. It was a handsome-looking, quality production and an international box office smash; alarming British critics and raising the standard for what was acceptable in terms of on-screen violence and gore, the movie established Hammer as a leading brand name in the British film industry. Hammer had even more financial success with Fisher’s second gothic horror film "Dracula" (1958), starring Lee in the title role and Cushing as his adversary 'Doctor Van Helsing'. Once again reducing the scope of its source novel in line with Hammer’s budgetary constraints, the screenplay minimised both the geographical settings and the number of characters, and the result was a compact, atmospheric and action-packed chiller in which Lee portrayed the figure of the vampire 'Count Dracula' as having an animalistic sexuality that had never before been presented on screen. It is today regarded as a trailblazer in the horror movie genre, the archetypal Hammer movie, and the greatest of Fisher’s directorial efforts. For the rest of his career, Fisher worked almost exclusively within the horror genre. "The Hound of the Baskervilles" (1959), with Cushing, Lee, and André Morell was an adaptation of the famous Sherlock Holmes novel given a horror slant, whilst Cushing and Lee also starred in "The Mummy" (1959), a pastiche of the Universal Mummy movies of the 1940's. "The Revenge of Frankenstein" (1958), with Cushing and Francis Matthews, was a successful sequel to The Curse of Frankenstein, whilst "The Man Who Could Cheat Death" (1959) was a remake of "The Man in Half Moon Street" (1945), and featured Lee in a more heroic role than usual, opposite Anton Diffring. Fisher directed another hit sequel, "The Brides of Dracula" (1960) starring Cushing, Freda Jackson, Martita Hunt and David Peel, whilst "The Two Faces of Dr. Jekyll" (1960) had Paul Massie in the title role with Lee and Dawn Addams in support, but it was one of the first Hammer horrors to perform disappointingly at the box office. However, Hammer didn’t only assign him to gothic chillers; "The Stranglers of Bombay" (1959) was a different kind of horror, a tale of the thuggee cut in Imperial India starring Guy Rolfe and Allan Cuthbertson. Fisher had a change of pace when he directed "Sword of Sherwood Forest" (1960) for Hammer, with Richard Greene reprising his small screen role as 'Robin Hood' from the ITV series on which he had previously worked with Fisher. Also featured in a supporting part was Oliver Reed shortly before Hammer cast him in the lead role of Fisher’s "The Curse of the Werewolf" (1961). Then came "The Phantom of the Opera" (1962) starring Herbert Lom; it was one of Hammer's most expensive films but proved a relative commercial letdown, and following its release Fisher didn’t work for Hammer again for over two years. German company CCC Film hired Fisher to make his first movie outside Hammer since 1957, "Sherlock Holmes and the Deadly Necklace" (1962), starring Lee as Holmes, but making the film was an unhappy experience for the director and it remains an obscurity. Lippert Pictures then employed Fisher for "The Horror of It All" (1963), a horror comedy starring Pat Boone, but it received poor reviews and was not a success. 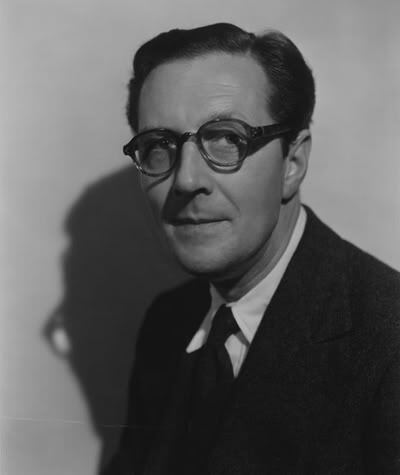 He finally worked for Hammer again when they reunited him with both Cushing and Lee for "The Gorgon" (1964), a personal favourite of the director, before Lippert used him a second time for the black-and-white science fiction film "The Earth Dies Screaming" (1964), featuring Dennis Price and Fisher’s close friend Thorley Walters. Fisher directed another science fiction film, "Island of Terror" (1966), for Planet Film Productions, which starred Cushing alongside Edward Judd. 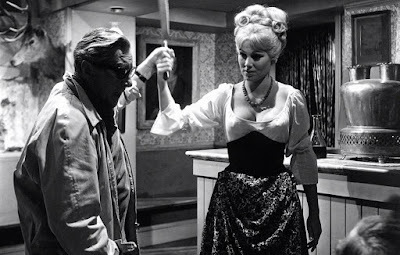 Back at Hammer he worked on further entries to their most famous franchises, with Lee starring in "Dracula: Prince of Darkness" (1966), and "Frankenstein Created Woman" (1967) again featuring Cushing. Fisher, Cushing and Lee then worked together on Planet’s "Night of the Big Heat" (1967), adapted from a sci-fi story by John Lymington. For Hammer, Fisher and Lee next made "The Devil Rides Out" (1968), from the novel by Dennis Wheatley, which is now a very highly regarded genre classic, whilst Cushing starred in "Frankenstein Must Be Destroyed" (1969), which was conceived as a climax to the "Frankenstein" series; it was another favourite of Fisher’s and stands up as one of his most suspenseful and exciting movies. 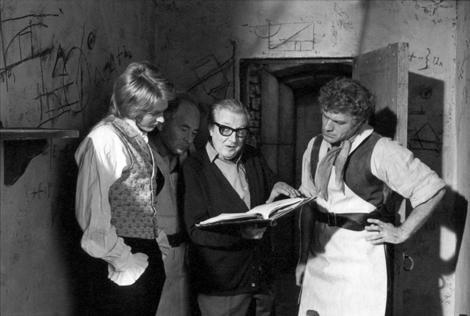 After injuries sustained in a pair of road accidents resulted in lengthy periods of convalescence, Fisher returned to Hammer for the final time to make "Frankenstein and the Monster from Hell" (1974), which was to be his last film. A financial failure that was written off as being very much behind-the-times when it was first released, more recently the movie has been reappraised as a worthy and melancholic ‘last hurrah’ for Fisher and Hammer’s style of horror in general. Fisher directed Peter Cushing in thirteen films, Christopher Lee in twelve films, Michael Ripper in seven films. 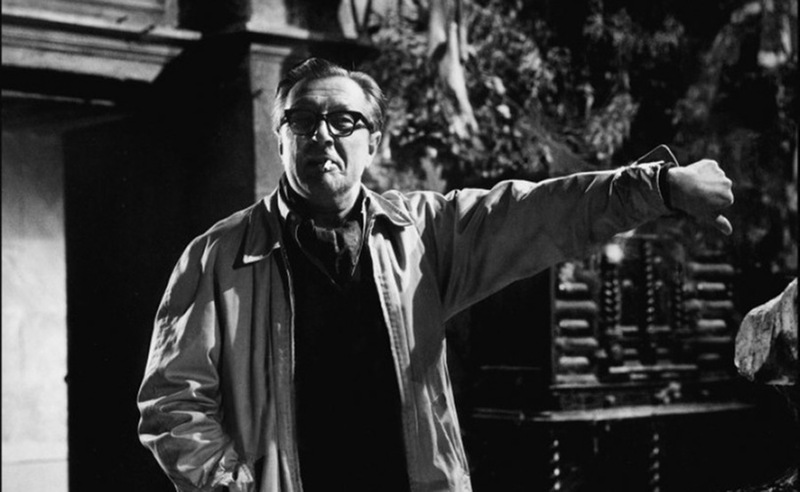 He also directed twenty nine films for Hammer Film Productions, more than anyone else. 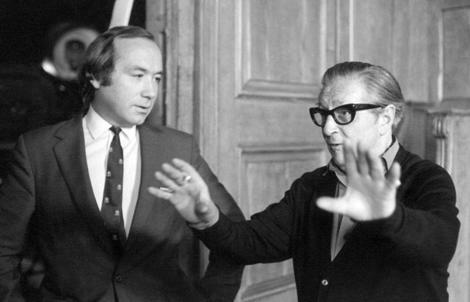 Although he directed twenty nine films for Hammer, including all their biggest and most iconic hits, he did not have a harmonious relationship with the company, least of all with the big boss, James Carreras. After the box-office failure of "The Phantom Of The Opera" (1962), a rather grander Hammer production than usual, he was dropped by the company and spent some time making B-movies for smaller firms before his return with "The Gorgon" in 1964. Fisher was struggling with alcoholism in his later years. 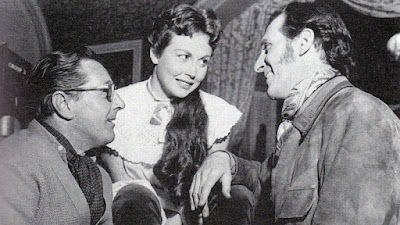 He only directed his last film, "Frankenstein And The Monster From Hell", because its star, Peter Cushing, insisted on him. 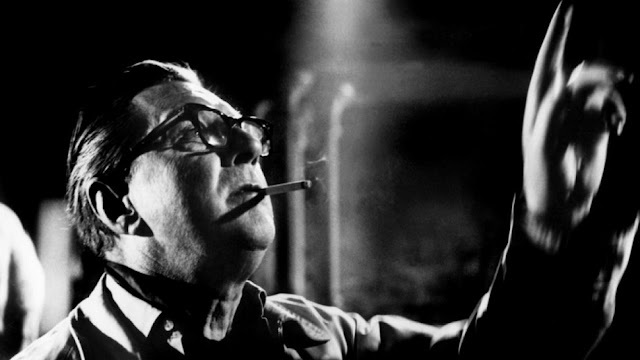 After several years in retirement, Terence Fisher died in June 1980 at the age of 76, his funeral was attended by only a handful of his former Hammer colleagues. It is only in recent years that Fisher has become recognised as an auteur in his own right. Fisher received very little critical attention throughout his career. Ironically, as that career ended, the publication in 1973 of A Heritage of Horror, David Pirie's book-length study of the British horror film, led to a re-appraisal of his work. Since that time, Fisher has come to be seen as a major British film director, especially so far as his horror films are concerned, and as someone who embodies the virtues of a popular British genre cinema. It is still the case, however, that Fisher's pre-horror work has not received the critical attention it merits. OATS STUDIOS NEEDS YOUR HELP!